Our March/April Icons edition, now on newsstands, includes some astounding architectural projects that are leading a cultural revolution and redefining our built environment. In Mexico, local architect Michel Rojkind has constructed a monumental concert hall on the waterfront of Boca Del Rio, along the Gulf of Mexico. Part of a larger mission to generate a seaside tourist destination, Foro Boca is defined by a series of concrete volumes in varying scales whose seemingly random arrangement belies the precision of the performance centre within. Moving from music to literature, MVRDV’s Tianjin Binhai Library in China is a grand gesture that pays homage to books. 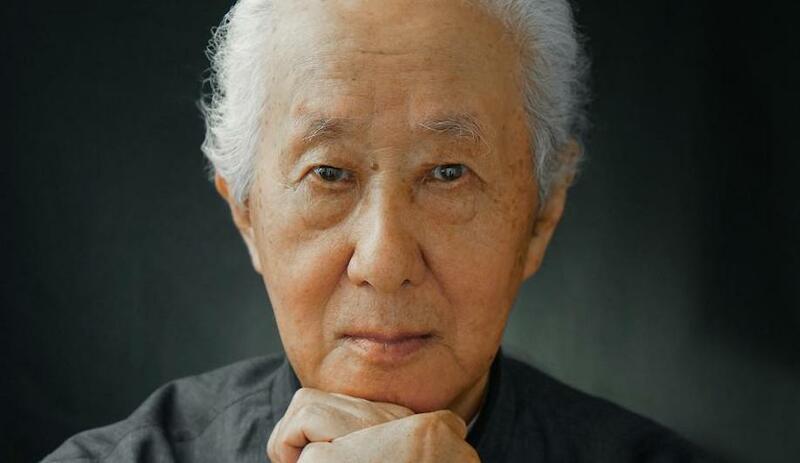 Writer Patrick Pittman talks with co-principal Winy Maas about the specific challenges of building a library in China, and the compromises that were forced to be made along the way. In North Vancouver, Patkau Architects has delivered a stunning, light-filled art gallery. Dubbed the Polygon Gallery, it promises to change the oceanside landscape in an area once known for its tugboats and packing plants. Also, award-winning writer Nicholas Hune-Brown takes a revealing look at the state of architectural photography today. As digital manipulations have advanced to the extent that images are so doctored as to appear fake, Hune-Brown questions the implications it will have on the industry. 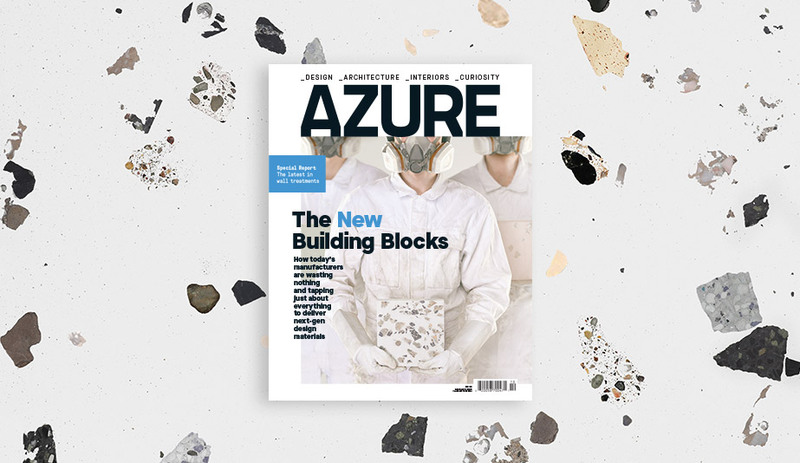 This issue also explores the evolution concrete: one of the building world’s oldest and most environmentally damaging materials. The notorious polluter has undergone a seismic revolution in recent years, becoming a smarter version of itself in every sense of the word. Plus, our spotlight feature on bathrooms; the Memphis movement redux; Wil Alsop’s idiosyncratic subway station in Toronto; and more. 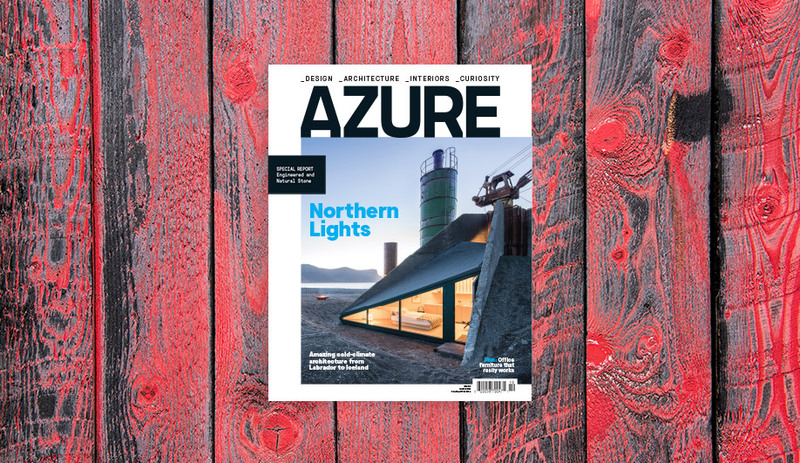 The Mar/Apr 2018 issue of Azure is now available on newsstands and online. Get yours now: for single copies go to shop.azuremagazine.com; to subscribe, go to azuremagazine.com/getazure.